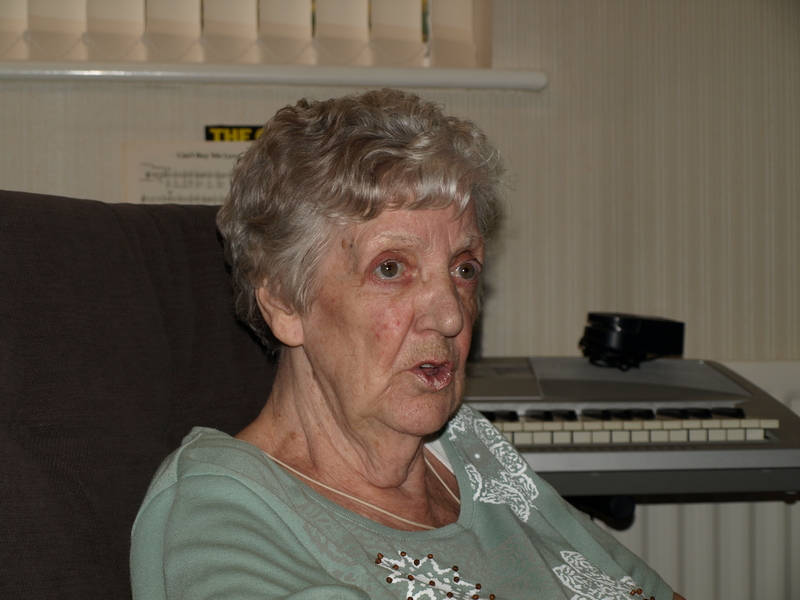 Doris has lived all her life in Birtley. Her Dad had the pub and her sisters all worked there so she knew everyone in the town. When she left school at 14 her Dad wanted her to stay at home and do the shopping but she wanted to go out and work with her friends and she got her own way. She worked there for 2 years and then she got a job at AEI, the cable factory down the road. Doris remembers the work being hard and monotonous. Her mother got her up at 6.45, you got there at 7.30 and you never stopped. When you were 16 you worked a twelve hour day from 7.30 in the morning to 7.30 at night, with the supervisor watching you all the time. She was even on the door at the toilets. Her name was Margaret and Doris felt she was jealous of the girls – perhaps because they were young. At 10 o clock in the morning you got a tin of cocoa. You clocked on and clocked off at the beginning and end of the day and at the beginning and end of dinner time. There was a foreman called Billy Mitchell but he stayed in his office and one of the girls used to go and carry on with him there. Doris used to have to watch the belts, putting the tins on the trolleys and turning them upside down for other girls to put bottoms on the end and then put them through the spinner. The girls were frightened of the mice in the trolleys – they used to say the girls would jump if there’s a mouse but not if there’s a fella. There was a girl called Barbara Wharton who had beautiful natural hair which got caught in the machines and after that they all had to wear navy blue turbans. The lads used to laugh and say they all looked the same. Doris enjoyed the company of the other girls. She said that they learned ‘a hell of a lot that they didn’t know’ from the older girls. They went to dances at the welfare and to the Picture Hall up the road. Some of the girls were nasty but the lads were canny. Not all the girls worked at the tinplates – there were other factories down the valley. Doris said that she was glad to get a job for a bit of pocket money but it was possible to go from one factory to another without a gap in between. Doris wasn’t very involved with the unions. They had to be in one but they didn’t bother with it. There was never a strike – they couldn’t afford it. She earned £1 and a penny a week.